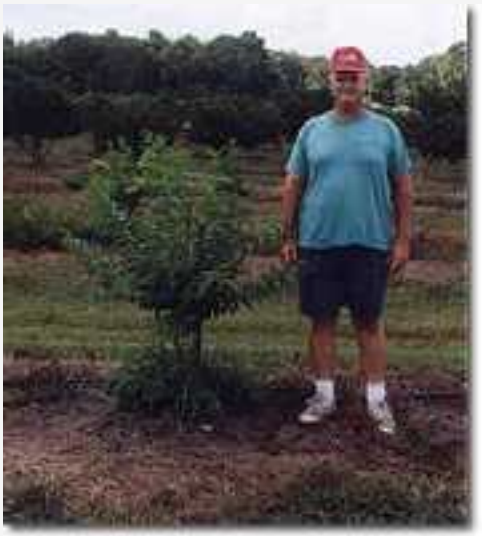 In this study, initiated by the University of Florida, 110 trees were grown two years in 18″ Root Control Bags. 50 trees were large enough to be potted up into 45 gallon containers, while the other 60 were potted up into 30 gallon containers. All plants were sold within 3 months of being potted up. All of the Pot -in- Pot plants were 30 gallon size and sold at the end of the two year study. Many people ask us if they should use Root Control Bags or if they should install a Pot -In -Pot operation. The two systems are not mutually exclusive. Many of the best users of Root Control Bags use both bags and pots. They grow in bags in the ground, then containerize their plants. Why should you grow in the ground? Plants grow quicker, better, easier and cheaper in the ground. Field growth is almost always quicker than container growth, sometimes by months or years. Field grown plants have a better top canopy spread and a stronger trunk caliper. The ground is a forgiving place to grow. If you water too much or if a pump goes out, the plant maintains itself. If you fertilize too much or not enough, or with the wrong mix, the plant still maintains itself. In ground plants require far less water and fertilizer for optimum growth. Growth of Crapmyrtle after a year and a half in Pot -in- Pot, top, vs. Root Control Bag, bottom. In this study, begun in the summer of 1996 under the auspices of the University of Florida, one gallon plants were lined out in Pot -in- Pot next to one gallons grown in the ground in Root Control Bags for Bag -to- Pot. The study was abandoned in 1998 because of the limited growth of the Pot – In- Pot material. On inspection, it was determined the University had made a mistake in the median mix of the pots. Over time, the mix had shrunk, limiting the growth in the pot. The now abandoned study illustrates one of the best advantages of the Bag -To- Pot system: The ground is a forgiving place to grow, when mistakes are made recovery is possible. Container growing, even in another pot, is much more exacting. By November 1997, when these pictures were taken, the Root Control Bag grown material was more than twice as large as the comparison Pot -In- Pot plants. Growing in Root Control Bags is an in-ground system. When the tree reaches the proper size, the plant is dug, the bag removed and the tree is placed in a container (see picture). We call this the Bag -To -Pot system. The plant roots quickly into the pot. Container growing is more difficult. If a water pump goes out the plant can die. If the fertilizer is wrong or too much is applied, problems quickly develop. If the medium mix is off, growth will be limited. Container plants are more susceptible to disease. Roots often circle in a container. If the weather is too hot or too cold, the plant will be harmed. High winds knock over containers. The Pot -In -Pot system is a container system. All of the bad things that can happen in a pot can happen in a pot in a pot in the ground. Economically, the Bag -To -Pot system helps growers maximize the value of their plants. Not all trees grow at the same rate. Even with the same conditions and the same species, growth varies. With Bag -To -Pot, larger plants go to larger pots while smaller plants go to smaller pots. Within the same time frame, 2 years in this study, the grower receives a maximum value for his plants. This option is difficult for a Pot -In -Pot grower. Another study initiated by the University Of Florida is perhaps more illustrative of why Bag -To -Pot growing is popular. In the summer of 1996 plants were lined out at a Florida nursery in Root Control Bags next to Pot -In -Pot container plants. The idea was to repeat the study mentioned above, this time at a different location with different tree species. After a year and a half, however, problems were obvious. The Pot -In -Pot plants were hardly growing. On inspection, a mistake had been made in the University’s formulation of the mix for the Pot In -Pot containers. The mix had shrunk, limiting plant growth. The study was later abandoned because with the Pot -In -Pot plant growth so limited, any comparisons were unfair. The plants in the ground in Root Control Bags were twice as large as the Pot -In -Pot plants (see comparison picture). This second University Of Florida study clearly illustrates a major reason why many growers use the Bag -To -Pot system; Container growing is difficult, mistakes are easily made, unerring daily maintenance is needed. When the inevitable mistake occurs, growth suffers or even stops. The Pot -In -Pot system is a container in the ground. Any mistake that can occur in container growing can and will occur in that container in the ground. Growing plants in Root Control Bags is a field operation. Field soil is used to fill the bag. The ground is a very forgiving place to grow. When a mistake is made, damage is more limited and recovery is quicker. Even with no errors, field growing is quicker, easier and cheaper. A common question is, if Root Control Bag growing is so great, why not sell directly in the bag and save the expense of the plastic pots? The answer is marketing. Many bag growers sell directly to landscapers or plant jobs themselves. Most of these growers do not containerize their bag grown material. But in many parts of the country plants in containers or boxes sell for a higher price. Plants in containers are available to sell year round. It has become very clear in the nursery industry that the grower with plants to sell in July, August and September does better than his ball and burlap competitor who is essentially closed during the summer. Also, container plants look better and sell better at a retail shop. In side by side retail comparisons, the plant in a nice looking pot sells quicker than a plant wrapped in burlap or in a bag. Container plants can also be easier to maintain in a landscaper’s holding area or on a job site. Some growers ask, if growing in the ground is best and marketing in a plastic pot is best, why not grow directly in the ground without a bag and then transplant to a pot for sale? The answer is time and quality. The Root Control bag root prunes the root structure of the tree and forces a storage of carbohydrates in the plant’s roots. Therefore, the root structure will regenerate quickly into a pot. Approximately 80% of the plants root structure is moved with the bag. With traditional field digging, over 90% of a plant’s roots can be cut away. It can take years for the root structure of a field dug plant to recover and fill out a container. Just as important, the root pruning of the Root Control bag gives the grower a smaller root ball. For example, a large California grower uses 14″ Root Control bags to grow 2″ caliper trees in the ground, then roots the plants into 24″ boxes for a few months to sell. A traditionally dug ball for a 2″ caliper tree would barely fit a 24″ box, and the plant would spend a year recovering from digging shock.